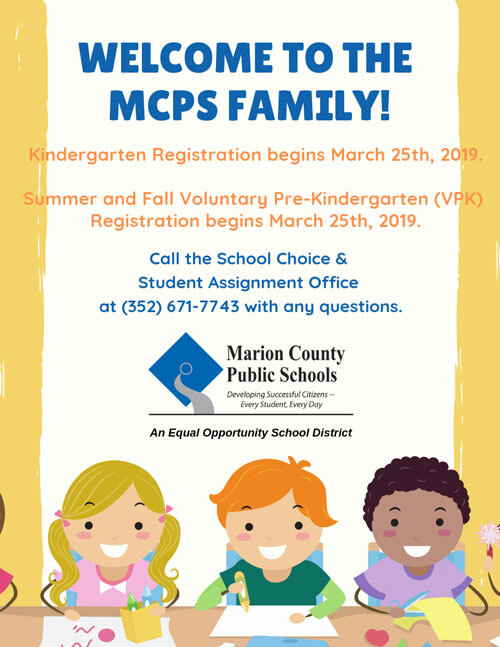 Marion County Public Schools full-time instructional employees holding a temporary teaching certificate (with at least 24 months remaining) may qualify to apply for a professional teaching certification by either completing college coursework or by completing the MCPS Professional Development Certification Program (PDCP). Marion County Public Schools is proud to offer PDCP, a state-approved competency-based program, for the first time in the 2018-2019 school year. PDCP is a highly economical certification pathway providing job-embedded learning that will complement and enhance the teacher’s instructional impact. Following completion of all components of PDCP, including passing all subtests of the Florida Teacher Certification Exam, participants qualify to apply for a Florida Professional Certificate. The total cost of PDCP is $1,540, which includes the cost of courses and supplemental materials. Payment in-full is accepted through money order, cashier’s check, or credit card payment. Payroll deduction is also available through deduction amounts of $70 over the course of 22 paychecks. Please note: All payments made to the MCPS PDCP are non-refundable. The PDCP Application and accompanying documents should be emailed to the PDCP coordinator or brought to the Teaching and Learning Office by making an appointment. Applicants must submit the completed application form, a copy of the Official Statement of Status of Eligibility, and a copy of the temporary certificate. Upon notification of approval, applicants will receive a copy of the Payment / Payroll Deduction Authorization Form to make payment or initiate payroll deduction authorization at the MCPS Finance Department. Documentation of payment or payroll deduction authorization must be emailed to the PDCP coordinator. Following receipt of this confirmation, the PDCP participant will be scheduled for a mandatory PDCP Orientation session. Teachers hired with Marion County Public Schools through September 28 will be part of Cohort 2018-2019. These teachers will participate in the full program and be assigned a mentor through the PDCP program during their first year of teaching. Teachers hired on October 1 or after who would like to participate in PDCP will sign a letter of intent and will be required to attend MCPS test preparatory sessions and pass the General Knowledge Test (to include all four subtests) and the Subject Area Test by June 1. 2019. Additionally, there are aspects of the program which may be completed in preparation for entering PDCP. The candidate will receive support from a mentor. PDCP offers a blended experience of online module instruction and in-person training provided by experts in our district through which participants will demonstrate competency of the Florida Educator Accomplished Practices (FEAPs). The online modules are delivered through the Florida Department of Education Professional Development Certification Program website. Each participant is assigned an Assessor who will provide feedback to the participant and assess satisfactory completion of artifacts based on the established rubrics. Face-to-face training is offered through Marion County Public Schools by expert teachers and coaches who will provide in-person instruction in key areas of instructional delivery to include classroom management, differentiated instruction, and rubric-based assessment. The PDCP participant will be paired with a site-based mentor, known in Marion County Public Schools as an Instructional Talent Developer (ITD), who will provide weekly support and guidance throughout the first year of the PDCP completion process. The ITD is an experienced teacher and trained mentor who will be an invaluable resource and support during the new teacher experience. The participant and ITD will build a vital rapport through interaction based on instructional planning, delivery, and reflection. Additionally, the PDCP coordinator and the Teaching and Learning Department will provide support for the participant throughout program completion. Marion County Publics Schools is committed to supporting the PDCP participant in completion of the necessary certification steps required to apply for a Florida Department of Education Professional Teaching Certificate. A timeline of tasks will provide a pathway to success identifying key points for taking and passing the certification exam within the temporary certificate validity period. PDCP participants are required to attend test preparation sessions offered through MCPS free of charge. The PDCP program cost does not include the cost of the Florida Teacher Certification Exam. For more information, visit the FTCE website.